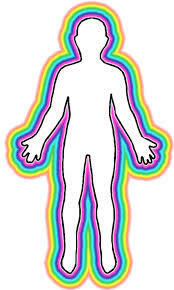 Aura is an electric field around a physical form. Some people have very strong auras ans such people are usually very influential , charming and can be seen different and gracious even in crowd. During interaction through out the day, the energy gets exchanged unconsciously. So sometimes, one might feel drained after meeting people and after attending few events. We are sharing quick tips to protect your aura. 1. Listening Music – listen music that turn on your mood and fill you with feeling of joy. Avoid listening sad and very slow music. 2. Essential Oils : Use essential oils, you may try different and can decide what suits you best. 3. Crystals: Can use some crystals like Labradorite or Fluorite or otherwise contact a crystal healer, who can guide you for the best. 4. Take bath in cold water: It is one of the easy way to make your aura better as cold water has property to diffuse negative energies. You may use salt into the water. 5. Spend less time with electric gadgets: Stay away as much as you can from electronic gadgets. It might be hard based on the type of work you do but at least avoid unnecessary use of these gadgets. 6. Have a walk with nature: Have a walk with the nature, it increases positive energy around you that naturally heals your aura. 7. Use of positive affirmations : Repetitive use of positive affirmations also helps to strenght your aura . Affirmation: ” I am safe and protected wherever I go and whomsoever I meet”. “My aura is always protected with God’s energy”. 8. Meditation : Best to meditate, you can use some healing meditation cds of The healing Zone (THZ) for instant results.